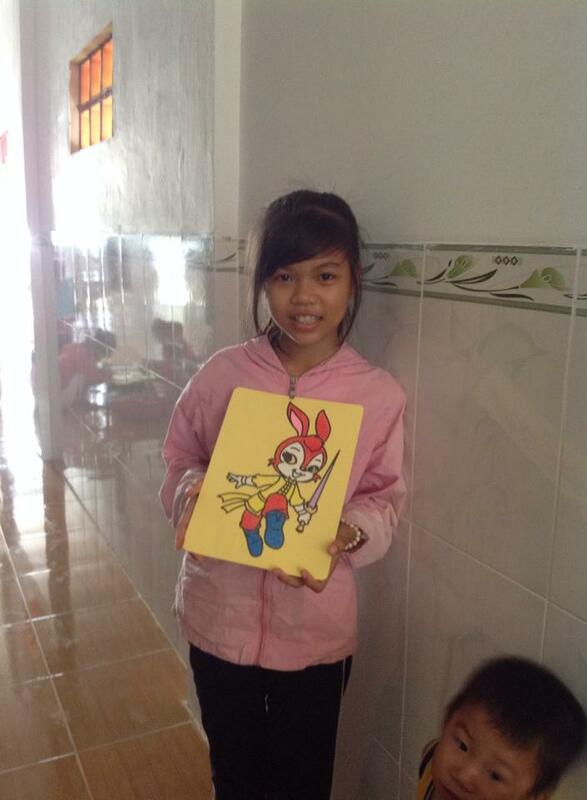 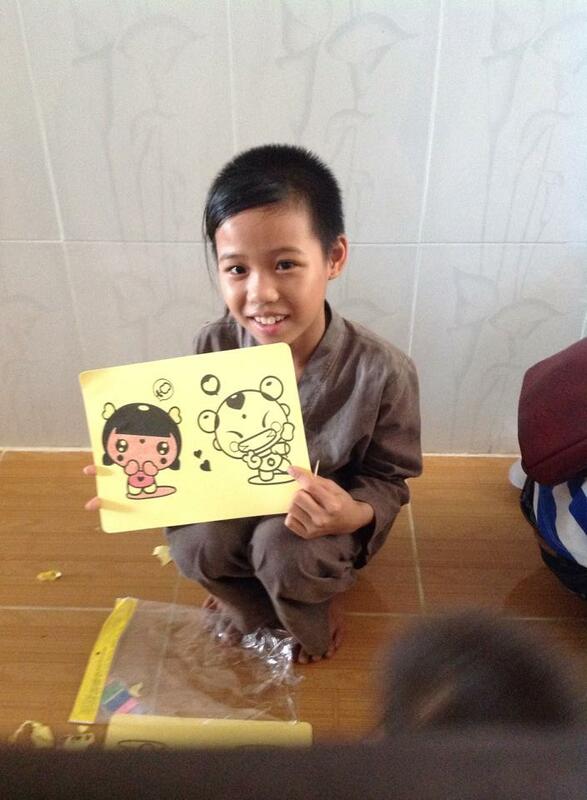 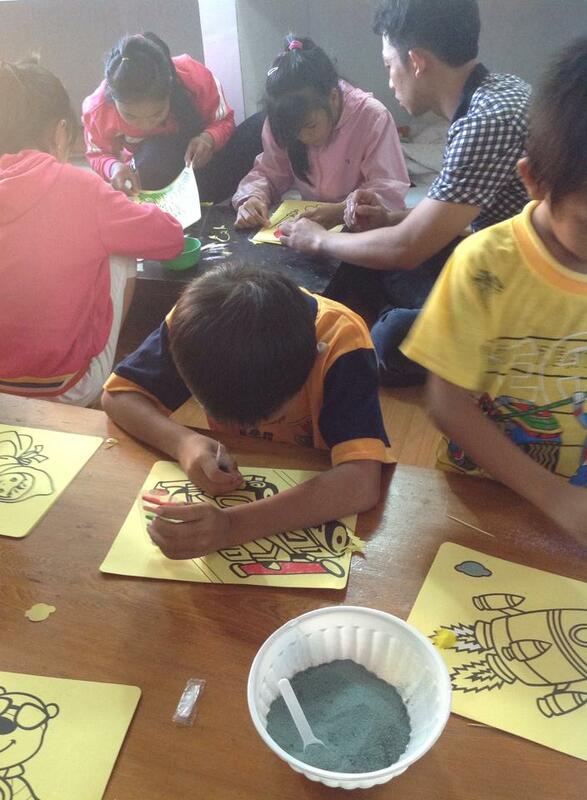 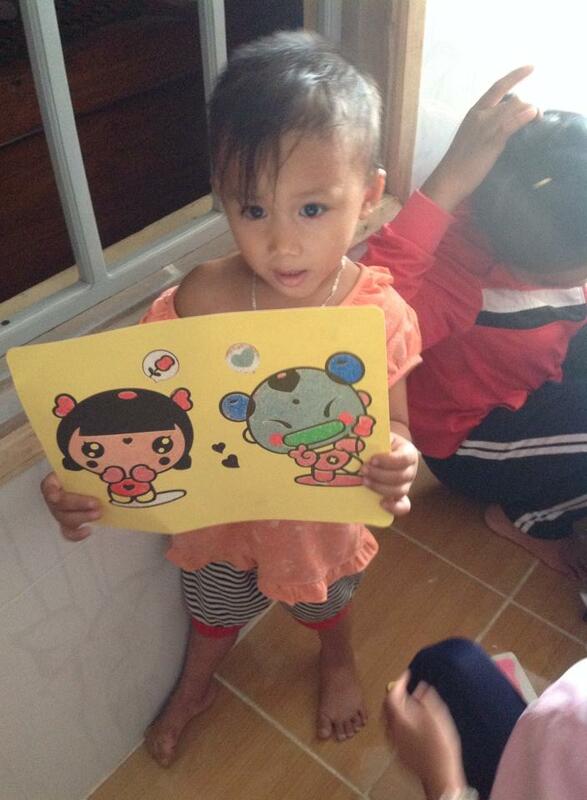 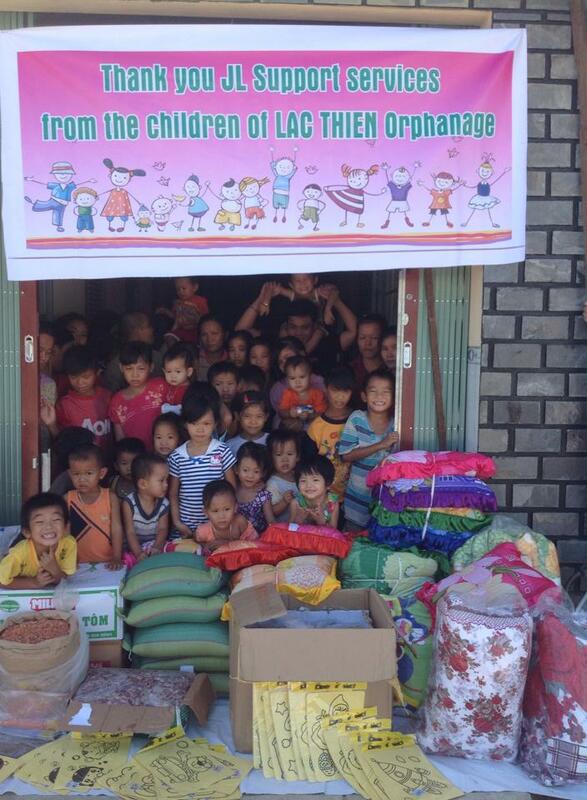 On October 10, 2015 we brought supplies, foodstuff, and fun activities to the Lac Thien Orphanage. 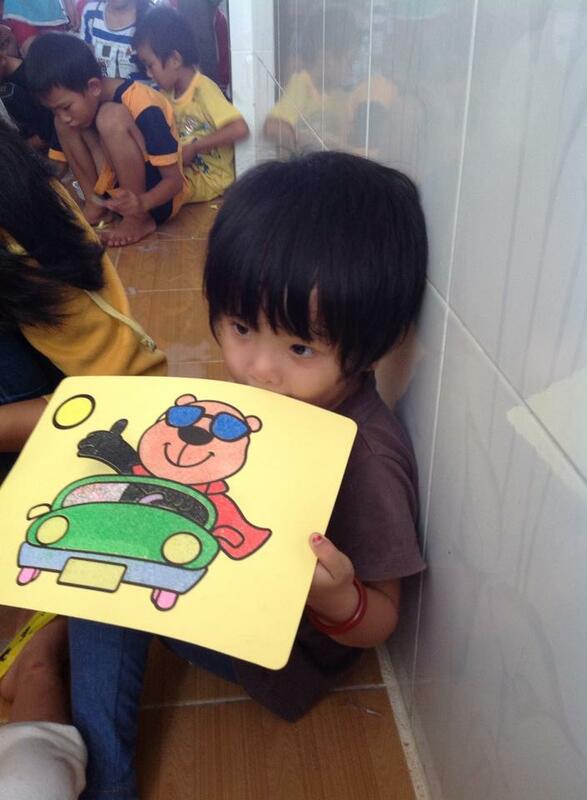 This wonderful day for the children was provided by JL Support Services. 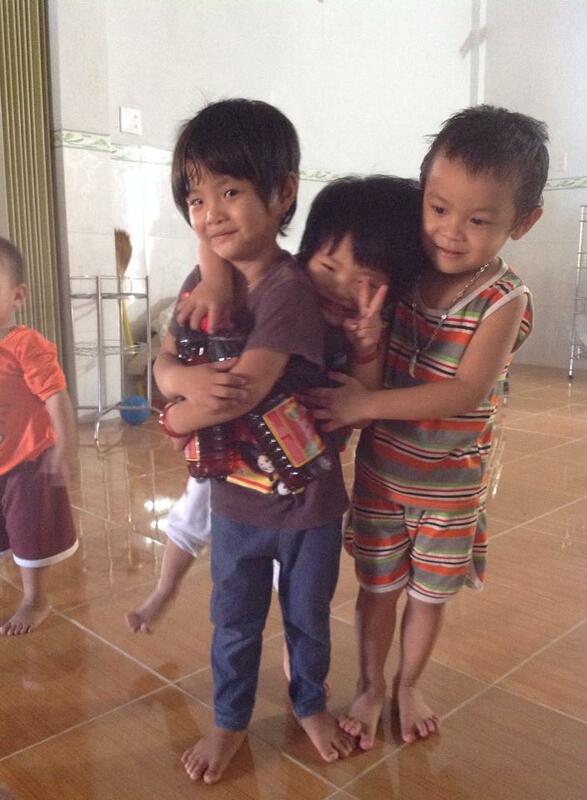 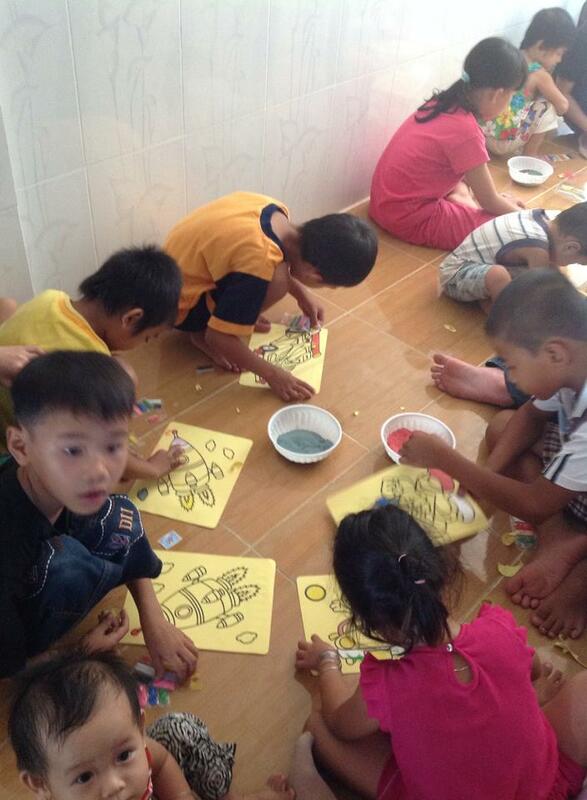 Lac Thien is a very poor orphanage in Ninh Hoa province, north of Nha Trang. 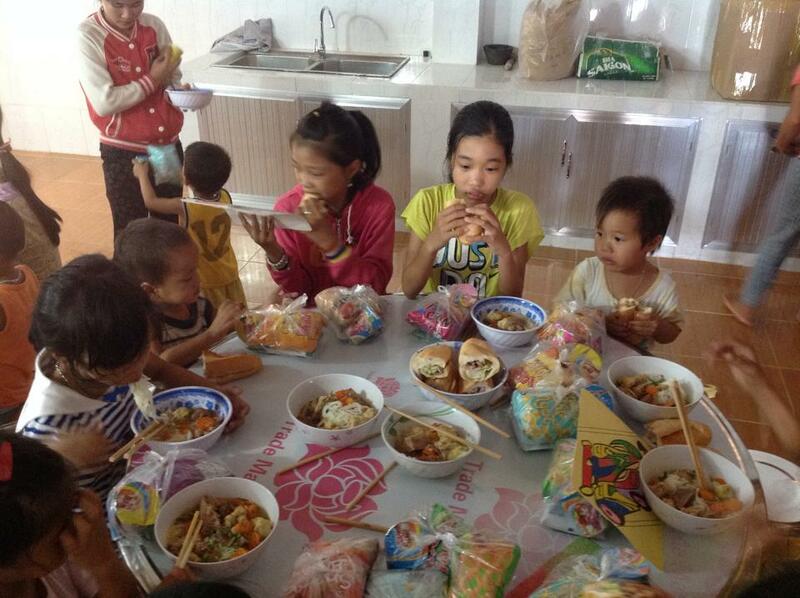 They are entirely dependent on donations for survival, and the nuns at the orphanage told our coordinators of their immediate needs. 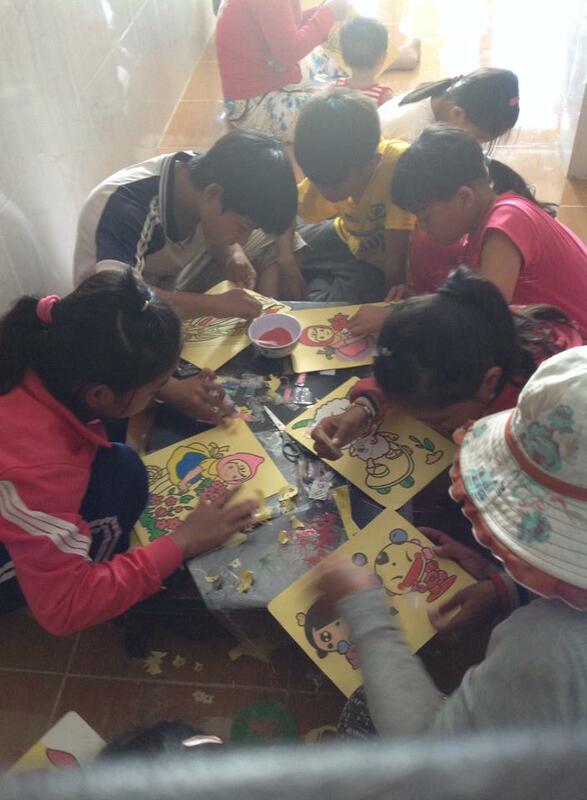 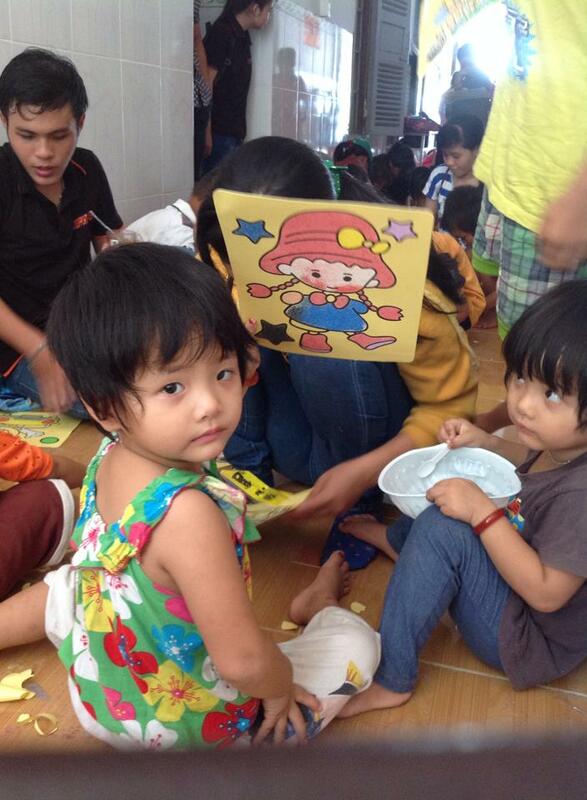 In addition to the vital supplies, we wanted to give the children a special day of games and activities. 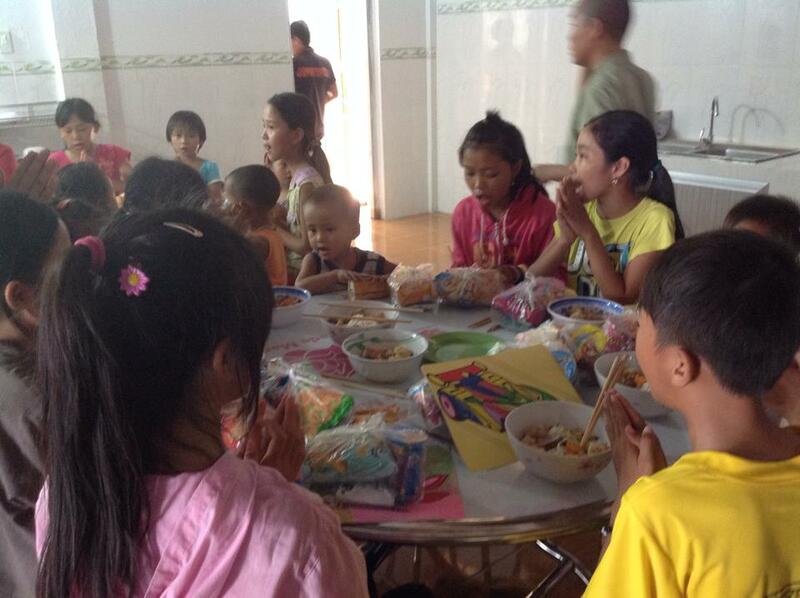 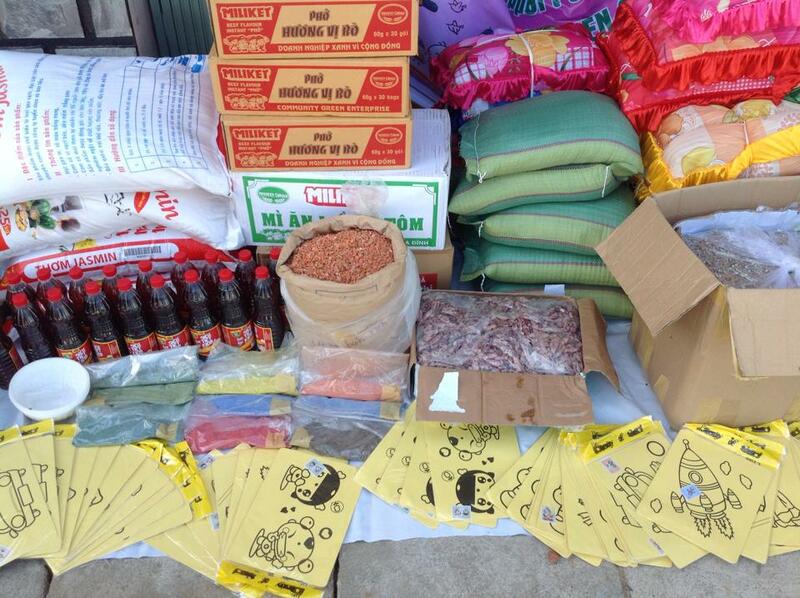 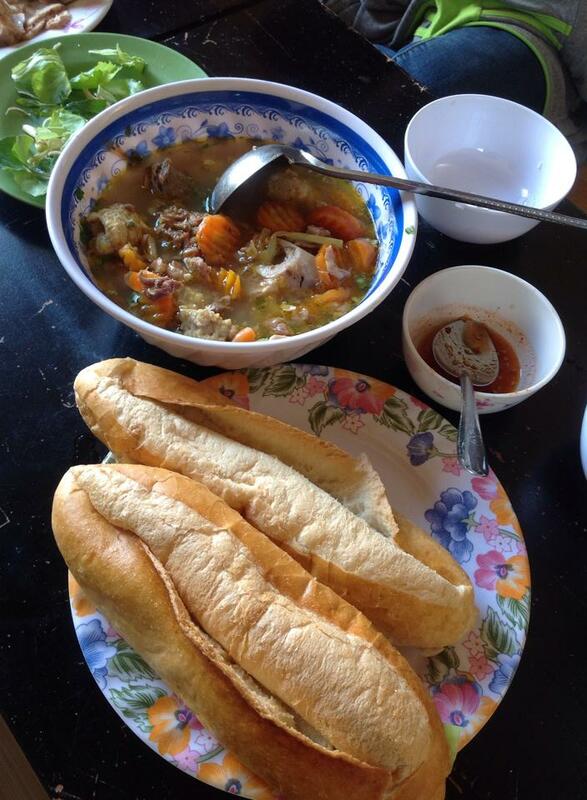 Led by our coordinator Mai Khanh and her team of volunteers, they brought the orphanage new pillows, boxes of noodles, bags of rice, boxes of dried squid, dried shrimp, and dried fish, cooking sauces, and snacks. 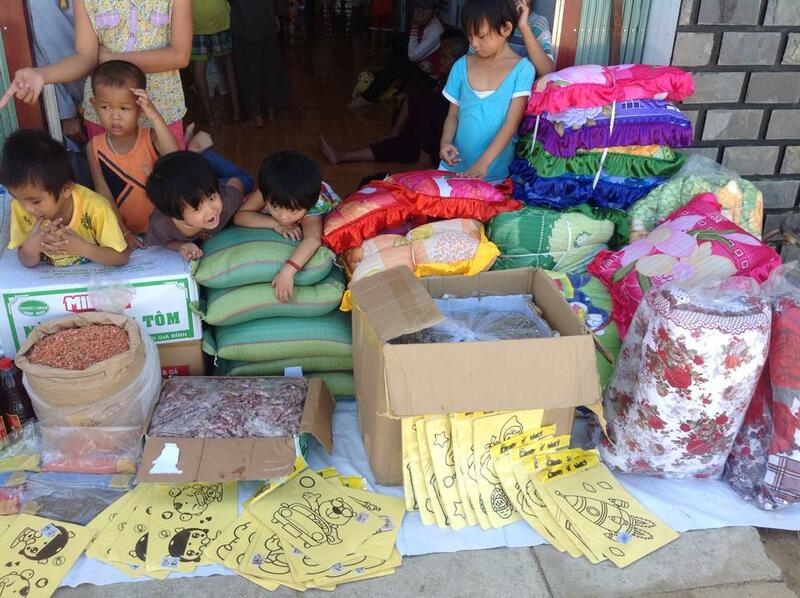 The big surprise for the children was many packets of sand art. 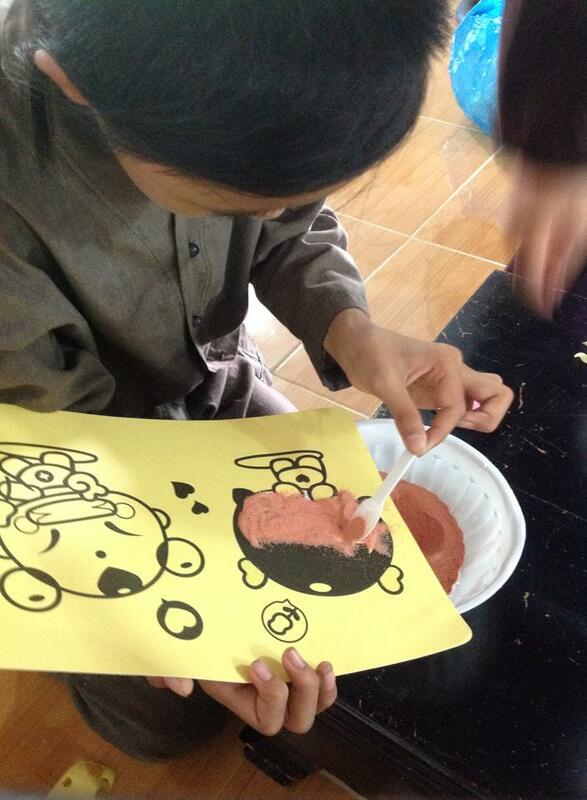 Creating sand art is a popular activity at local bookstores in Vietnam, but is too expensive for the orphans to ever experience. 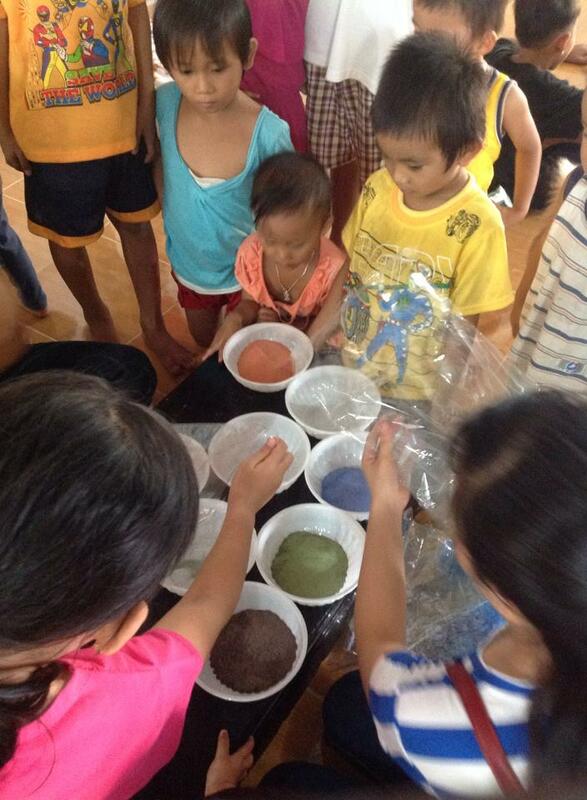 On this day, the children got to create their own sand art masterpieces. 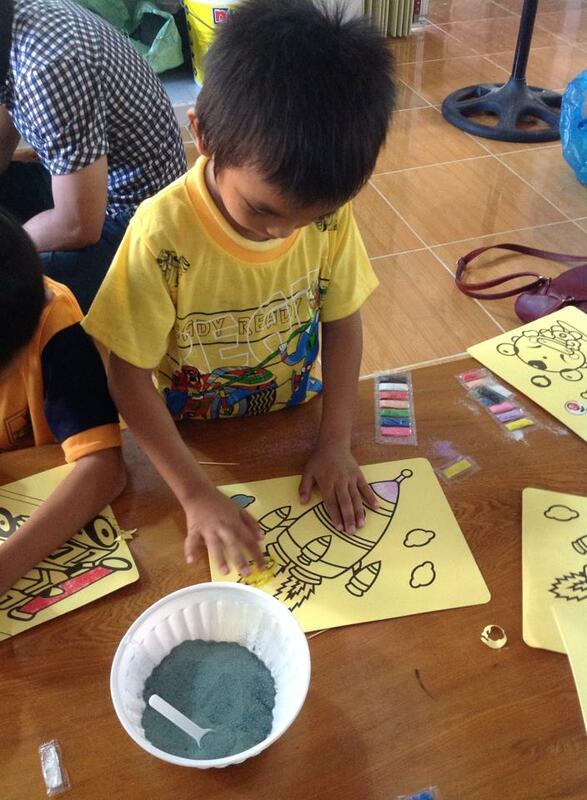 To get an idea of how it works, the sand art packages come with drawings on sticker paper and bags of fine colored sand. 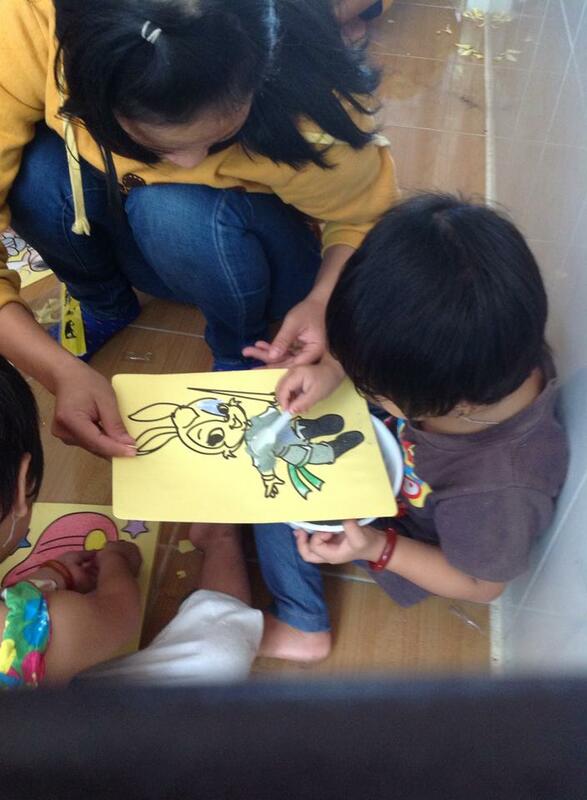 The children carefully peel off sections of the sticker paper, and then spread the colored sand on that section. 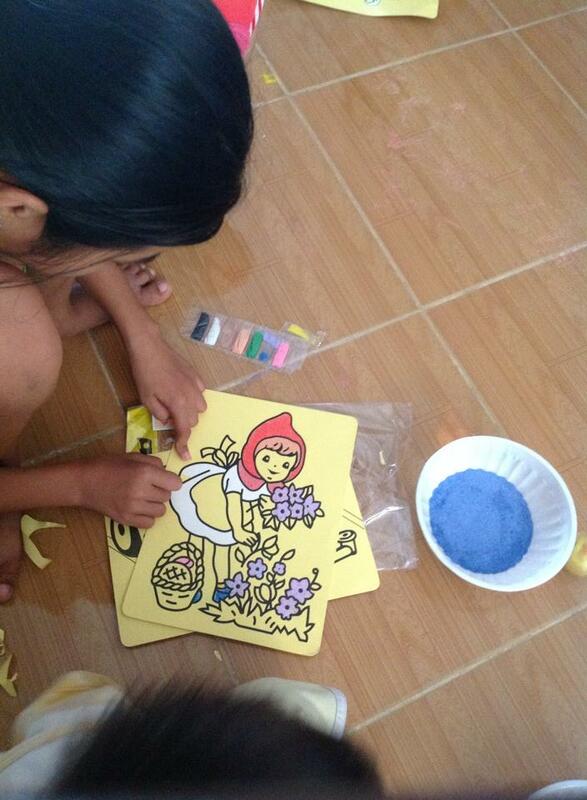 By working slowly, peeling off one section at a time, and putting different colored sand on the sticky sections, the finished result is a colorful drawing made entirely of colored sand. 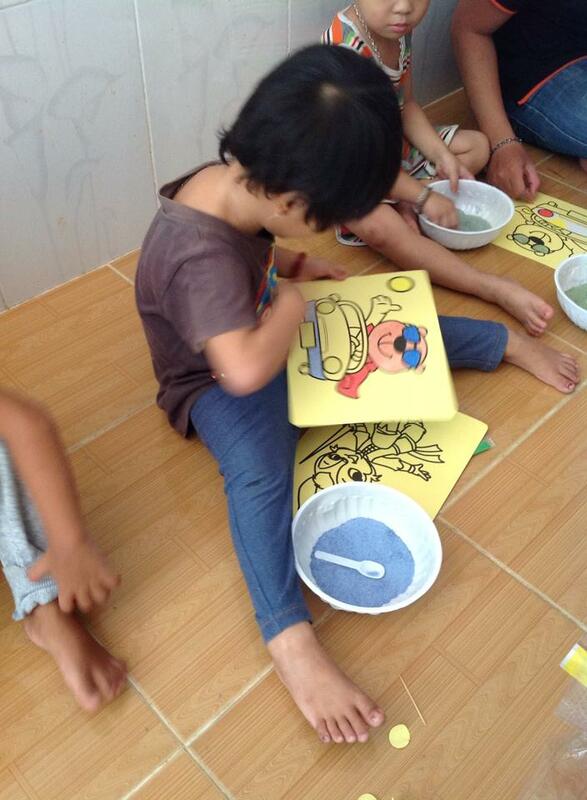 The children had so much fun creating their own art! 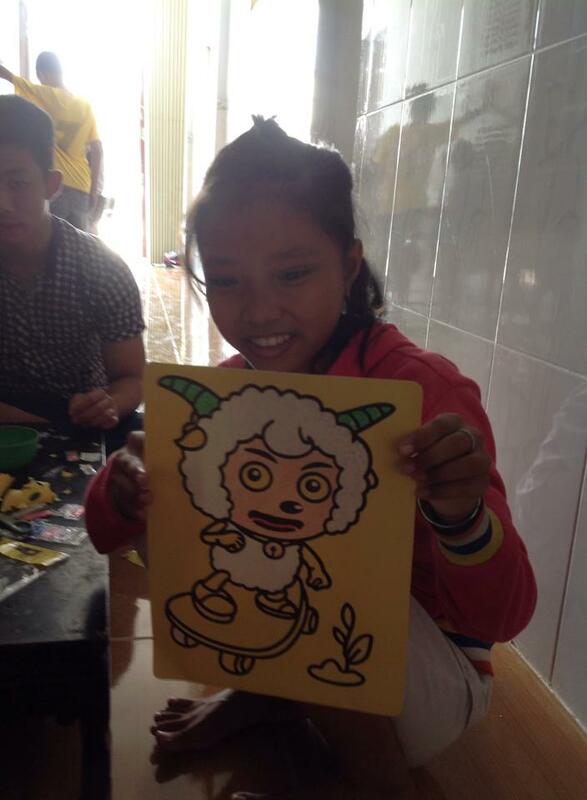 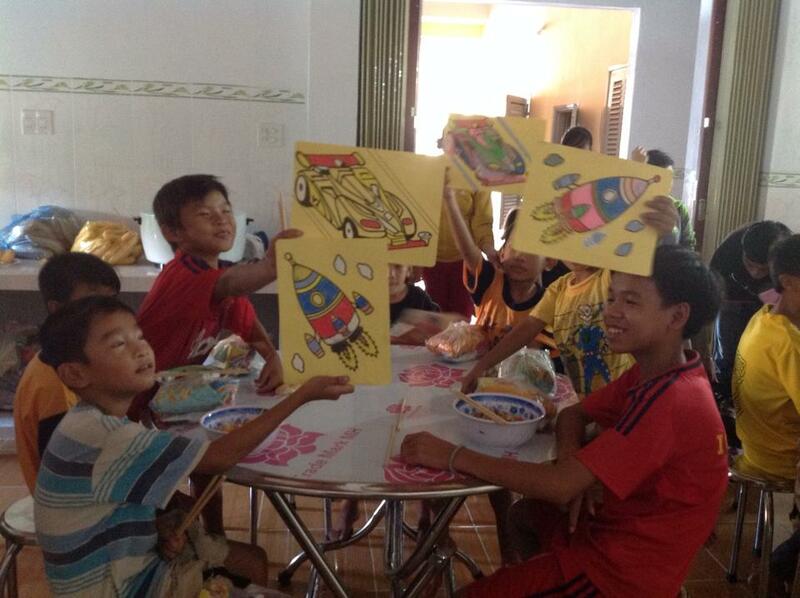 Afterwards, our team gave the orphans a big lunch, where the children showed off their sand art creations. 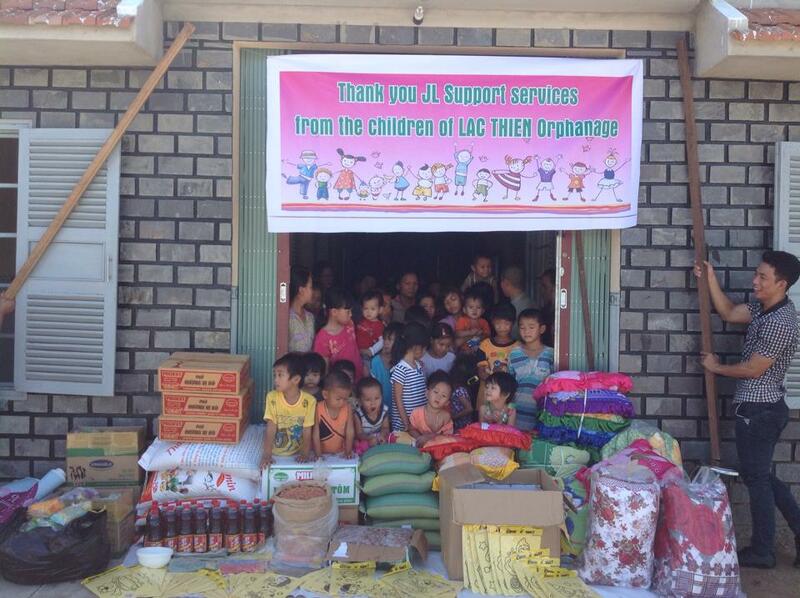 Thank you JL Support Services for this wonderful day for the orphans!